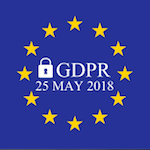 On 25 May 2018, the new General Data Protection Regulation (GDPR) comes into effect. 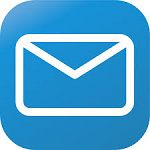 The change in law means that we will need you to let us know if you want to continue receiving updates and news about our new activities and events. 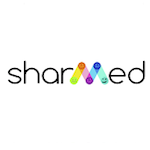 The data collection phase of the SHARMED project came to its end and the archiving process is almost completed. The summary report will be also finalised soon, paving the way to the full development of the SHARMED tools and MOOC for teachers. The project partners organised and attended several events to continue disseminating the project results and outputs, and some of them are better detailed in the rest of the newsletter. 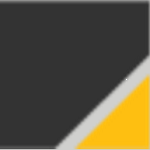 All the project achievements will be presented in December 2018, when the final conference is scheduled. 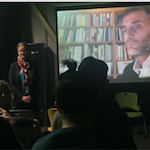 On the 29th of March 2018, Vittorio Iervese presented in videoconference the SHARMED project and the use of its visual archives, during an event held at the Rettner Video Studio of the University of Rochester, in New York, USA. 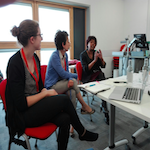 The meeting was co-organised by the Department of Modern Languages & Cultures and by the Digital Scholarship Lab. On 13-15 June 2018, Vittorio Iervese participated in the panel "Photography and Public History" organized as part of the II national conference of the Italian Association of Public History, in Pisa. 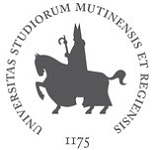 Prof. Iervese presented a report entitled: From Image to Imaginery: Sharmed and the promotion of memory narratives. 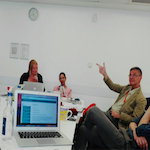 Last 1st June, the partner Universities of the SHARMED project met at the University of Suffolk, to plan the activities till the end of the year. After presenting the activities run at local level in the last months, Claudio Baraldi and Vittorio Iervese (University of Modena and Reggio Emilia), Mathilde Berhault and Luisa Conti (University of Jena), Federico Farini, Erica Joslyn, Shamea Mia and Angela Scollan (University of Suffolk) discussed the state of the art of the archiving process, planned the structure and organization of the MOOC and training actions, and concluded the event identifying the ongoing dissemination activities, also including the final conference planned for December 2018. 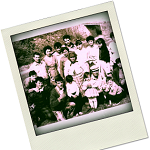 What can WE learn from children? 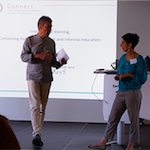 On the 4th of May 2018 Dr. Luisa Conti gave an input in the Session "Inclusion" of the national congress on "Quality in the early education" in Berlin. By presenting SHARMED and some of its findings, she fostered a dialogue among the participants on the steps needed to make inclusion real, starting from a critical reflection about the role of the adult in early education settings. 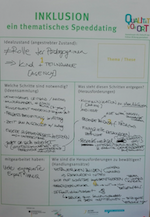 The exchange among peers was instead focus of her presentation in Karlsruhe on June 21st. 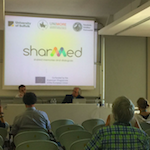 At the conference organized in context of the Erasmus+ Project "Connect 2.0" Luisa Conti could share with the international audience relevant aspects of the conceptual framework of SHARMED. 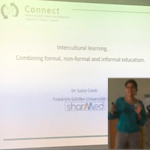 Learning from each other through connecting experiences is the approach which links the two projects, both aiming to foster intercultural learning.